« Q&A: Scanning Away Food Waste? Today, the USDA and EPA joined forces with charitable organizations, faith-based organizations, food companies and local governments to set the first ever national food waste reduction goal. For sure, it’s a happy day in the land of wasted food. Yet my initial elation is now tempered with a few reservations. The Great: It’s a whopper! 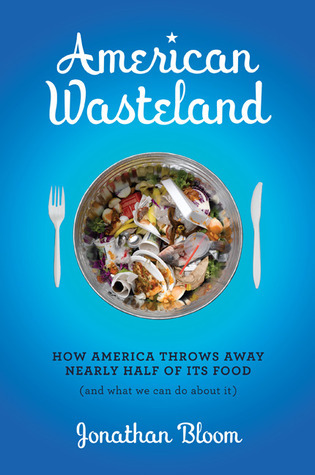 The goal is a 50 percent reduction of wasted food by 2030. I remember when it was thrilling to have the Secretary of Ag merely mention food waste. Now he’s setting an ambitious reduction goal! The Bad: There are no real plans or penalties. Accordingly, this goal will succeed or fail based on whether or not the food industry opts in. Draw your own conclusions there, but know that said industry is quite attuned to consumer demand. So make your opinions known early and often! The Ugly? The timing of the announcement feels a little fishy. In a week, world leaders will descend on the UN General Assembly in New York to finalize the Sustainable Development Goals, a fact mentioned in the first paragraph(!) of the USDA press release. Obama Administration representatives can now trumpet its commitment to reducing food waste without having made any real commitments. This entry was posted in Campaigns, Stats and tagged EPA, food waste, food waste reduction, haiku, Jonathan Bloom, national goal, reduction goal, Secretary of Agriculture, Sustainable Development Goals, UN, USDA, Vilsack, Wasted Food. Bookmark the permalink. Both comments and trackbacks are currently closed.